Since January 2010, peace of mind has been a standard specification of new Mitsubishi cars with the introduction of the company’s capped price servicing program experienced here at Brisbane Mitsubishi. Under new the new service program, all new vehicle purchasers (excluding government, rental, and some fleet buyers) have their regular servicing costs capped for the first four years or 60,000 km of ownership. Masahiko Takahashi, president and chief executive officer of Mitsubishi Motors Australia Limited (MMAL), said the initiative was designed to enhance the company’s current extensive customer commitment package. “Mitsubishi’s current customer care package is streets ahead of our competitors’ – great news for our local service clientele. “It is common knowledge that we already offer the best customer care package in Australia, with our ten year powertrain and five year new vehicle year warranty, five year roadside assistance program and 24 hour help line,” Takahashi said. Under the program, customers enjoy a capped price for each service the vehicle requires for the first four years or 60,0000 km of ownership. This can be up to and including the first four regular services which are normally set at 15,000, 30,000, 45,000 and 60,000 kilometres. The program ensures customers receive no costly “surprises” when service time comes around, and makes the ownership experience more affordable and more enjoyable. Of all the automotive brands currently operating in the Australian market, Mitsubishi is only the second vehicle distributor to offer capped price servicing as a standard feature to eligible purchasers of new vehicles. 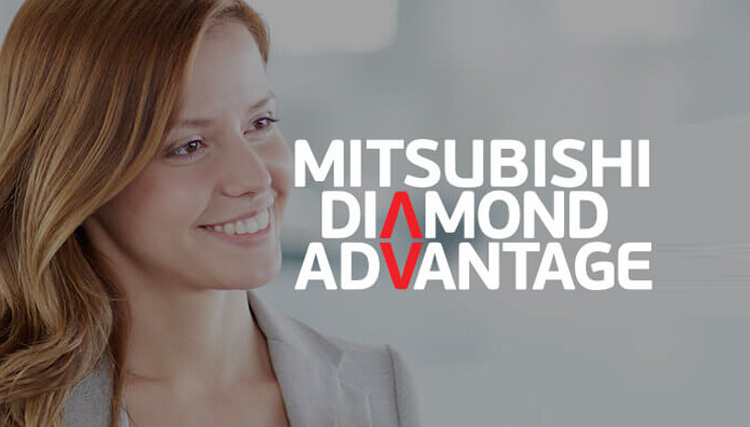 While the new program’s primary design is to add value to the consumer purchasing experience, it also provides a major point of difference for Mitsubishi, giving the brand a real advantage over its competitors. “The capped price servicing program is designed to give every Mitsubishi customer the ultimate peace-of-mind,” Takahashi said. For more information please contact our friendly service advisors in the Mitsubishi Service department Brisbane. Mitsubishi Motors Australia Limited (MMAL) has unveiled the first public EV fast charging unit (FCU) in Australia. The FCU has been installed in front of the company’s Adelaide, South Australia head office and is designed to offer the convenience of a fast charge facility to drivers of MMAL’s ground breaking Mitsubishi i-MiEV electric vehicle. Masahiko Takahashi, MMAL’s President and CEO unveiled the FCU this morning at a launch attended by South Australian i-MiEV owners, council and government VIPs and MMAL employees and staff. “Mitsubishi has confirmed our position as the leader in electric vehicle technology. Not only are we the first company to offer volume-produced electric vehicles in the Australian market – now we are the first company to provide a public fast charge facility here as well,” Takahashi said. The FCU is an Aker Wade unit installed by Club Assist in Australia and is powered by 100 per cent accredited green electricity provided by AGL Energy Limited. Mitsubishi introduced its i-MiEV (Innovative Electric Vehicle) into the Brsibane & Australian market in August 2010 and the company has now sold more than one hundred vehicles here. The i-MiEV is a fully electric vehicle with zero drive-time emissions and is powered by a lithium-ion battery. Receiving all its torque from stall, the i-MiEV has incredibly responsive acceleration – perfect for city commuting – and boasts a convenient range of around 130 kilometres. Normally, the i-MiEV is recharged on a standard 15 amp household power point over a seven hour period. However, the fast charge unit can recharge up to 80 per cent of an i-MiEV’s battery in 30 minutes, or provide an extra-quick top-up of around 50 per cent in just 15 minutes. According to Masahiko Takahashi, MMAL chose to install the fast charge unit at its South Australian headquarters for a number of reasons. “Mitsubishi is a long-time member of the South Australian business community, and we are extraordinarily proud of our history here, so we are always very ready to support our local market. “We have several i-MiEV Foundation Customers here in Adelaide, and I am sure the new FCU will be very convenient for them,” Takahashi said. i-MiEV vehicle owners are invited to utilise the new Fast Charge Unit, located at the Mitsubishi site in Tonsley Park, free of charge.